In this irresistible collection, you’ll find an enticing dessert for every day of the year. From simple to extraordinary, classic to contemporary, rustic to refined, discover 365 mouthwatering recipes that will feed any sweet tooth and inspire all home cooks. 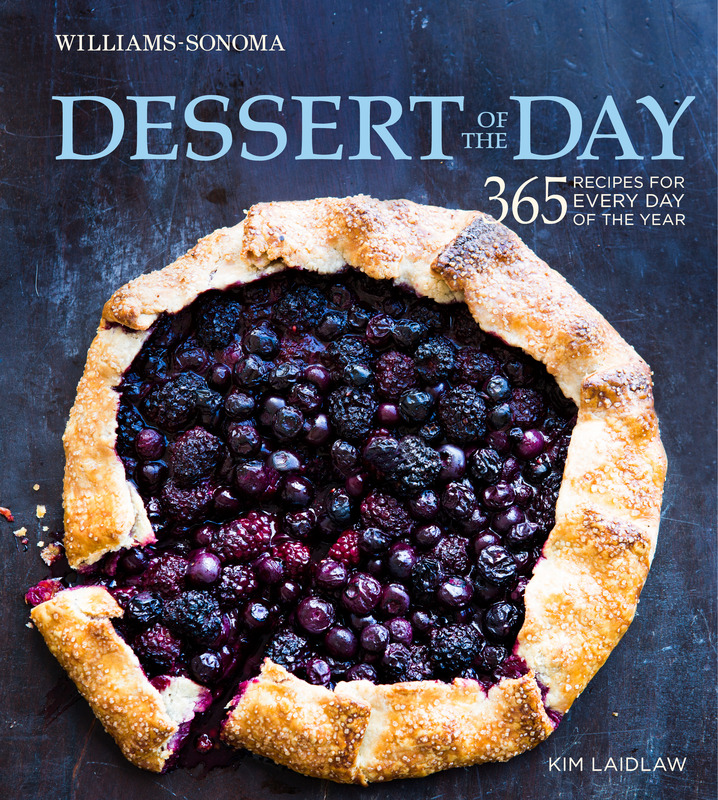 Williams-Sonoma Dessert of the Day brings together 365 mouthwatering recipes in this attractive, practical volume. Each of the 12 chapters opens with a colorful monthly calendar that provides an at-a-glance view of the desserts included. From January to December, you’ll find sweet recipes that suit every occasion, from a casual weeknight supper or a summer backyard get-together to a birthday celebration or a holiday gathering, and that fit every schedule, from simple sorbets to more elaborate cakes and tarts. Each recipe is accompanied with a note that might offer baking tips, advice on substituting ingredients, ideas for garnishes, or other helpful hints. Many of the recipes are illustrated with full-color photographs to guide you as you bake. From homespun pies and cobblers loaded with seasonal fruit to decadent chocolate-orange cupcakes and creamy hazelnut gelato, these recipes feature classic favorites as well as loads of contemporary delights. Lavish photographs and a colorful graphic design add visual appeal to the enticing collection and showcase seasonal dishes. So, go ahead and open this year-long celebration of desserts and start cooking.